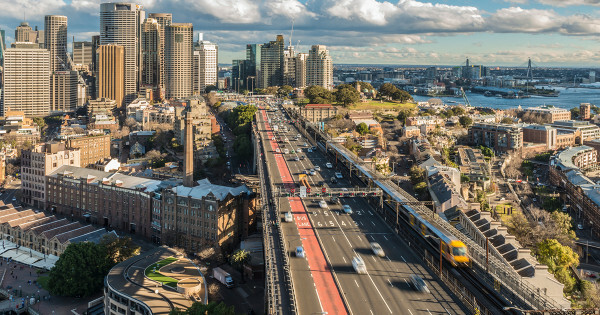 If you live in Sydney sans car, it can be pretty important to be as close to public transport as possible—and trains are arguably the best bet. 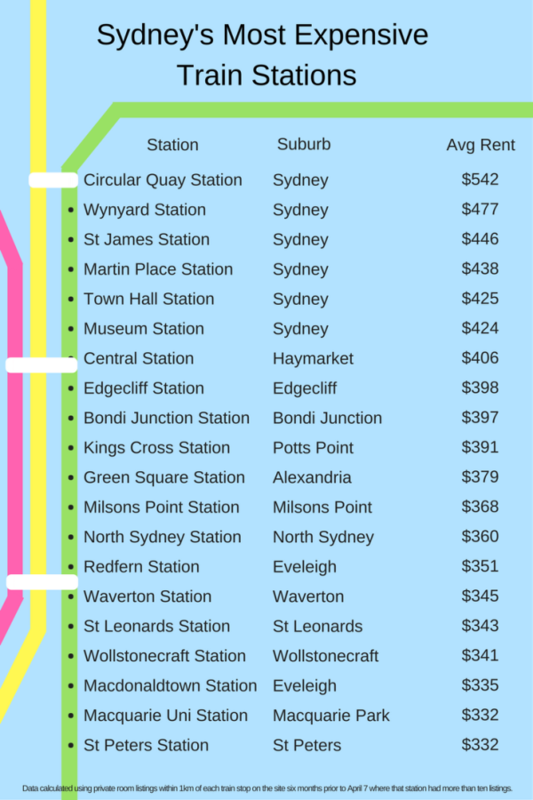 Unfortunately, living close to a station in the harbour city can be costly with data from Flatmates.com.au showing that renting a room within 1km of a station was more expensive than the suburb average in 69% of suburbs. Data from the flat-sharing site also revealed which stations are the most expensive to rent a room near—which depending on your budget may be helpful for avoiding or seeking. Not surprisingly the most expensive stations were those in the city, which means those living there would be in for a pretty short commute. Circular Quay, on the city circle line, ranked well out in front with a whopping weekly room rent of $542 per week. Neighbouring station Wynyard came in a close second with an average weekly private room rent of $477 per week. St James rounded out the most expensive three— also on the city circle line— at $446 per week, approximately 50% more than the Sydney room average.